Coupling Systems designed and built to guide you along the path to success. Compatibility guaranteed with over 400 tractor models. Safety, quality, robustness, reliability to guide your work. Businessman of the year 2016” for the “Industrial Products” sector to Dott. Giuseppe Codovini. 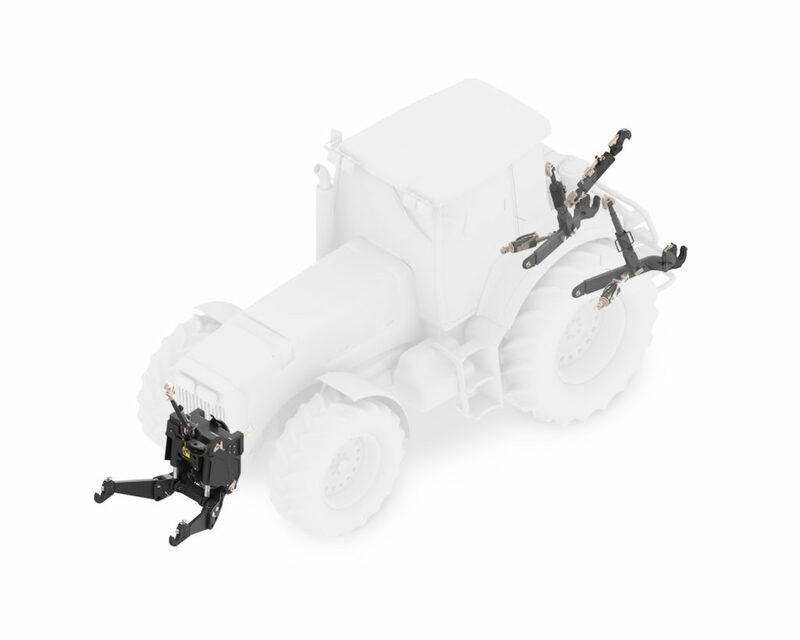 The modularity of Aries Front Lifts means that they can be used for various tractor configurations and are suitable for all types of operations. Control and transmission of mechanical power to the front mounted implement are managed in compliance with the most stringent reference standards. The Aries 3 point attachment system is designed and produced to be complete and specific for each category, through the use of defined standard ARIES components. Aries is tirelessly committed to the research of products and solutions for improved usability and production processes. We search for new products and solutions capable of satisfying emerging customer and market demands, as a guarantee of constant innovation in terms of Safety, Robustness and Reliability. Our production processes are vertically integrated inside out plant, to ensure maximum control over every single critical phase and guarantee the development of increasingly safe and efficient production methods. From design and validation right up to our on-site technical service. We guarantee maximum performance of Aries products and systems. Aries offers its services as a partner of excellence, for the definition of solutions with the most suitable solutions, according to your requirements. We are available to study and jointly define every single configurable detail so that you can benefit from operative and strategic advantages. We are always by your side, at every crucial moment. From installation to assembly, we're there to help you with any critical issues, right up to after-sales assistance and consultation on every single aspect of use concerning our products.